Georgians love doughnuts and creamy buns in every shape and form. Mexicans have the similar dessert called Churros with its numerouss variations. My favorite churros are made of banana and pumpkin. Let’s make it with pumpkin this time, but keep in mind that it can be substituted with banana as well. As for the recipe, people call it "crunchy fluffy" with love – fair enough as Churros is fluffy and crunchy at the same time and you love it at the first bite. Mix 1/3 ground cinnamon, all of the ground clove and ground ginger and ground nutmeg. These 4 super aromatic products will have an amazing smell. But this is the only beginning. If you don’t have a pumpkin puree, boil peeled pieces of pumpkin until it softens (if the cubes are about 2cm, then 20 minutes of boiling is enough), drain and make the puree. Move the pure into the pot and on a high fire, add 300ml water, 140gr butter and vanilla; bring to simmer and stir non-stop. 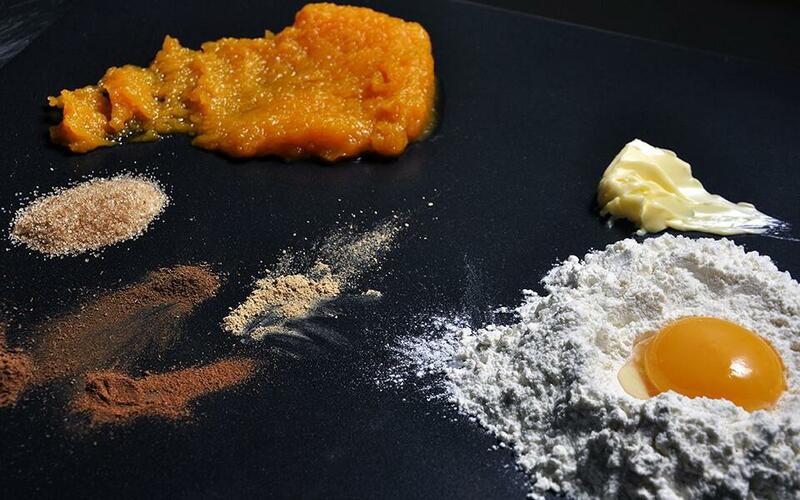 Let the pumpkin puree cool down, move into the flour and spices bowl and stir thoroughly. 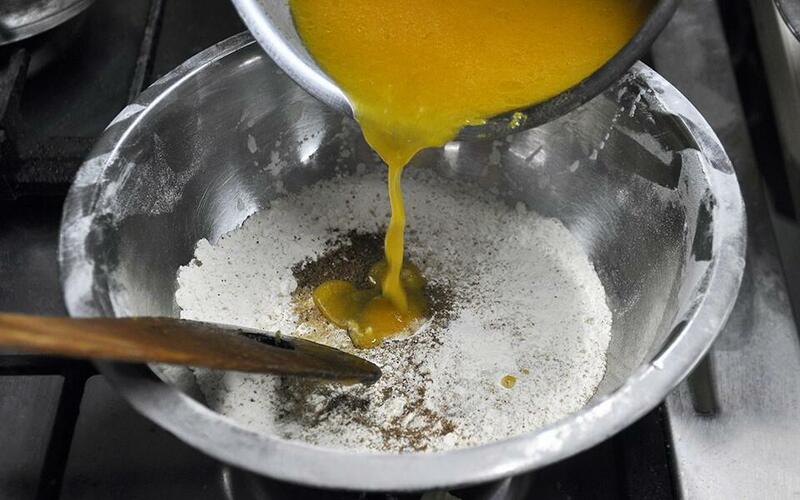 The mixture should be thick. Stir on and add eggs. It's better to crush the eggs downs one by one. The dough must be thick but even. Stuff the dough into the confectionary sack and let it rest for 5 minutes. 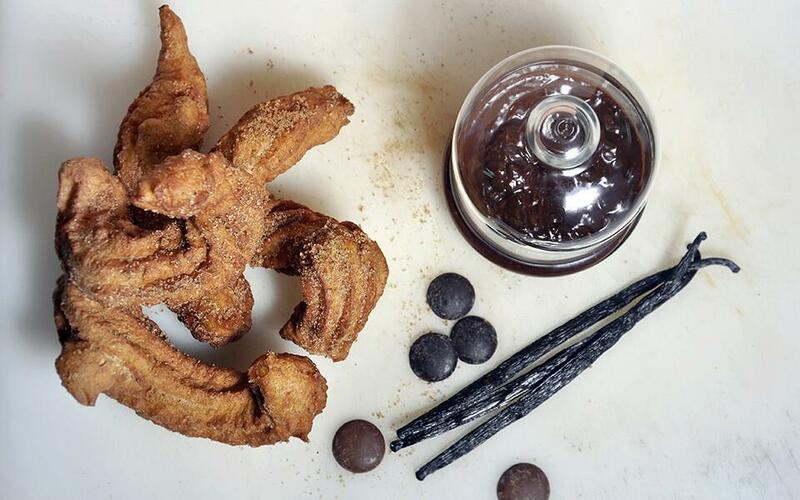 Meanwhile, mix brown sugar, cinnamon and ground cocoa – a dip for the fried dough. Heat the oil on a high fire, throw long pieces of the confectionary sack stuffing into the oil and fry for about 4-5 minutes until turning brown color. As soon as it's fried, dip into the cinnamon and cocoa sugar. Let me tell you that the number one Mexican export is not cocaine, but Churros - as it's much more potent, delicious and legal. You can melt 150ml cream and 200g chocolate on a steam, stir and use as a sauce for the Churros. Eat with hands. you can discharge the dough into forms and keep it in the freezer. 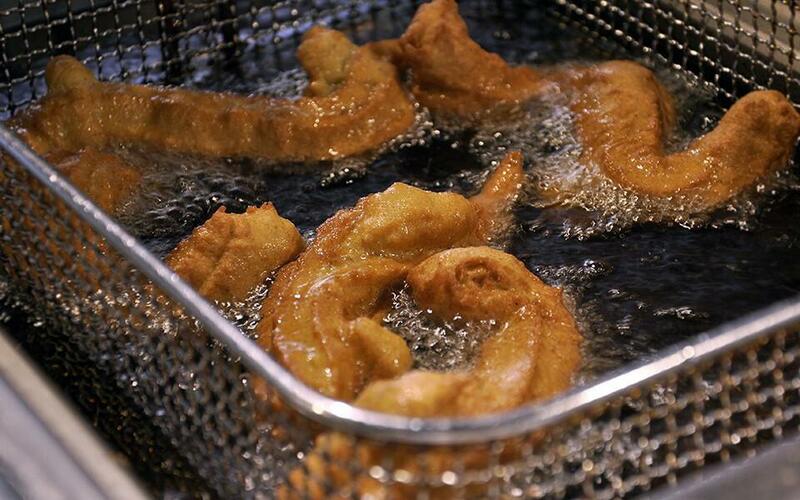 It'll take 1 or 2 additional minutes of frying than the ordinary dough.